"The first time, you visit. The second time, you move here." Ivy Vacations | Cabin Rentals works in tandem with Garland Company Real Estate to help property owners and guests to the area enjoy a holistic experience that drove us here and kept us here. Hospitality comes naturally to all of us and we've turned it into our profession. We are oozing with pride for the talent and natural beauty our area offers. And the water: "oh oh the water, get it myself from the mountain stream." Emily Conley — An outdoors enthusiast and small town girl at heart, Emily Conley was first introduced to Mountain View when she signed up to run the Sylamore 25k trail race in 2009 with a group of friends. She came back every year for the event and eventually purchased a small cabin in 2014, which we now call Studio at the Creek. She and her three kids have made many wonderful memories in Mountain View and come from their home in Memphis as often as possible to fish, hike, swim, and enjoy the simplicity and beauty of the area. Emily has continued to invest in this remarkable area which she says feels like home. Joy Harp happened upon Mountain View one Thursday night in October 1991 and never looked back. Having grown up in Mexico, Missouri, she had moved to California after college and raised her family in the San Francisco Bay Area where she was an artist, musician, antique store proprietor and then a realtor with Coldwell Banker. After that initial visit to Mountain View, this vibrant little hamlet had grabbed her heart and still does to this day. Since moving here she has had a guest cottage business, owned and operated a 1934 Ford Flathead V8 Shuttle Bus, Snack Shack, Joy’s Main Street Cafe and then got the bug to go back into real estate. She is a licensed Realtor with Garland Company Real Estate. Now on any given day you will find her showing properties, teaching people about essential oils, loving the Ozarks and just plain enjoying life. If the conditions are right, Virginia Ivy is in a canoe on the creek with a growler from Gravity Brew Works. For the past 10 years she was a business analyst with a corporate travel agency in NYC. She is from Mississippi and has lived in Memphis, TN, Gold Hill, CO, and Mokuleia, HI. She visited Mountain View on a long weekend in 2007 and essentially never left. Prior to that she owned and operated a café and live music venue in Memphis called The Map Room. 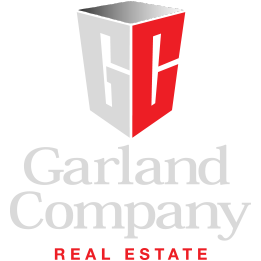 She is a licensed realtor with Garland Company Real Estate.